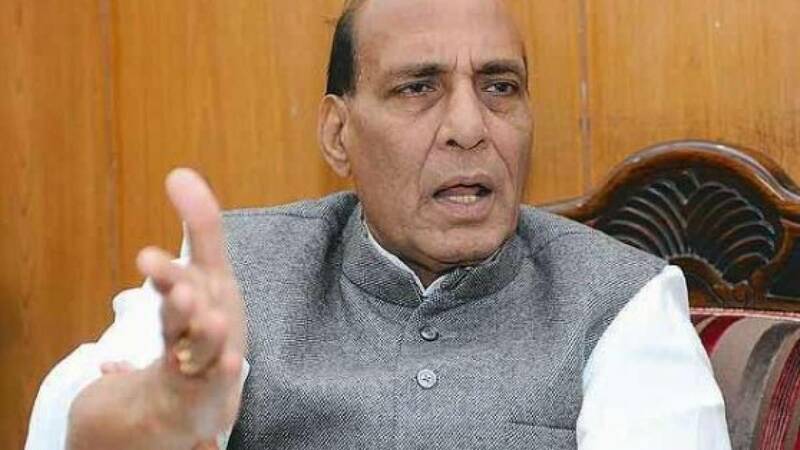 New Delhi : Expressing his discontent over Kashmiri separatists’ refusal to talk, Union Home Minister Rajnath Singh said, they (separatists) clearly don’t believe in insaniyat or Kashmiriyat. Singh along with members of the all-party delegation reached Kashmir on Sunday to talk to separatists. # Home Minister hit out at Kashmiri separatists saying they did not believe in Kashmiriyat or insaaniyat after they denied to meet the all-party delegation in Kashmir. # J&K Chief minister Mehbooba Mufti also wrote letter to separatist leaders requesting them to meet the delegation. # Singh further said there are no two ways about fact that J&K is a part of India and will be a part of India. # Centre is willing to talk to everyone interested in peace and normalcy in Kashmir. Our door is wide open for talks.